Blockchains are immutable digital ledger systems originated without a central repositor and usually without a central authority. At their most basic level, they enable a community of users to record transactions in a ledger that is public to that community, such that no transaction can be changed once published. In this website we provide a high-level technical overview of blockchain technology. We will discuss blockchain technology and its applications to electronic currency in depth. The main purpose is to help readers apply blockchain functionality to problems as they may present themselves. Additionally, we explore some specific blockchain applications and some examples of when a blockchain system should be considered for use. Take the Blockchain FREE Online Course. Join Now! In 2008, the blockchain idea was combined in an innovative way with several other technologies and computing concepts to enable the creation of modern cryptocurrencies. Cryptocurrencies are defined as electronic money protected through cryptographic mechanisms, as opposed to a central repository. The first such blockchain-based approach was Bitcoin. Blockchain currency systems are novel in that they store value, not just information. The value of the cryptocurrency is attached to a digital wallet. A digital wallet is an electronic device (or software) that allows an individual to make electronic transactions. The wallets are used to sign transactions sent from one wallet to another, recording the transferred value publicly. This allows all participants of the network to independently verify the validity of the transactions. Each participant can keep a full record of all transactions, making the network resilient to attempts to alter that record (or forge transactions) later. Because there are countless news articles and videos describing the “magic” of the blockchain, this website aims to describe the method behind the magic (i.e., how a blockchain system works). Arthur C. Clarke once wrote, “Any sufficiently advanced technology is indistinguishable from magic”. Clarke’s statement is a perfect representation for the emerging use cases for blockchain technology. There is a high level of hype around the use of blockchains, yet the technology is not well understood. It is not magical; it will not solve all problems. As with all new technology, there is a tendency to want to apply it to every sector in every way imaginable. This website attempts bring a high-level understanding of the technology so that it can be applied effectively. As stated above, blockchain technology is the foundation of modern cryptocurrencies, so named because of blockchain’s heavy usage of cryptographic functions. Users utilize public and private keys to digitally sign and securely transact within the system. Users of the blockchain may solve puzzles using cryptographic hashing in hopes of being rewarded with a fixed amount of the cryptocurrency. However, blockchain technology is more broadly applicable than its application to cryptocurrencies. In this work, we try to show this broader applicability while still focusing to a large extent on the cryptocurrency use case (since that is the primary use case today). Organizations considering implementing blockchain technology need to understand important aspects of the technology. For example, what happens when an organization implements a blockchain system and then decides they need to make modifications to the data stored? When using a database, this can be accomplished through a simple query (or major changes can be made by updating the database schema or software). However, on a blockchain, it is much more difficult to change data or update the ‘database’ software. Organizations need to understand the extreme difficulty in changing anything that is already on the blockchain, and that changes to the blockchain software may cause forking of the blockchain. Another critical aspect of blockchain technology is how the participants agree that a transaction is valid. This is called “reaching consensus”, and there are many models for doing so, each with positives and negatives for a specific business case. Some existing blockchain technologies focus on storing wealth, while others are a platform for smart contracts (software which is deployed on the blockchain itself, and executed by the computers running that blockchain). New blockchain technologies are being developed constantly to enable new use cases and to improve the efficiency of existing systems. Some blockchain implementations are permissionless, meaning anyone can read and write to them. Other implementations limit participation to specific people or companies, allow finer-grained controls, and may be managed by a central entity. Knowing these specifics allows an organization to understand what will be most applicable to its needs. Despite the many variations of blockchain systems and the rapid development of new technologies, most blockchains use some common core concepts. Each transaction involves one or more addresses and a recording of what happened, and it is digitally signed. Blockchains are comprised of blocks, each block being a group of transactions. All the transactions in a block are grouped together, along with a cryptographic hash of the previous block. Finally, a new hash is created for the current block’s header to be recorded within the block data itself as well as within the next block. Over time, each block is then chained to the previous block in the chain by adding the hash of the previous block to the header of the current block. Each technology used in a blockchain system takes existing, proven concepts and merges them together in a way that can address problems that were previously difficult. This website explores the fundamentals of how blockchain technologies work, how the participants in the network come to agree whether a transaction is valid, what happens when changes need to be made to an existing blockchain deployment, and how permissions work. Additionally, this website explores specific blockchain applications and examples of when to consider using a blockchain system. The use of blockchain technology is not a silver bullet, and there are issues that must be considered such as how to deal with malicious users, how controls are applied, and the limitations of any blockchain implementation. That said, blockchain technology is an important concept that will be a basis for many new solutions. The concept emerged the Bitcoin blockchain might be actually used for all kinds of value transaction or any type of agreement for example P2P insurance, P2P energy buying and selling, P2P ride discussing, etc. Colored Coins and Mastercoin attempted to resolve this problem in line with the Bitcoin Blockchain Protocol. The Ethereum project made the decision to produce their very own blockchain, with completely different qualities than Bitcoin, decoupling the smart contract layer in the core blockchain protocol, supplying a radical new method to create online markets and programmable transactions referred to as Smart Contracts. Private institutions like banks recognized they can use the main concept of blockchain like a distributed ledger technology (DLT), and make up a permissioned blockchain (private or federated), in which the validator is part of a consortium or separate legal entities of the identical organization. The word blockchain poor permissioned private ledger is extremely questionable and disputed. For this reason the word distributed ledger technologies become a far more general term. Private blockchains are valuable for solving efficiency, security and fraud problems within traditional banking institutions, only incrementally. It isn’t most likely that personal blockchains will transform the economic climate. Public blockchains, however, contain the possibility to replace most functions of traditional banking institutions with software, essentially reshaping how a economic climate works. Condition from the art public Blockchain protocols according to Evidence of Work (Bang) consensus algorithms are free and never permissioned. Anybody can participate, without permission. 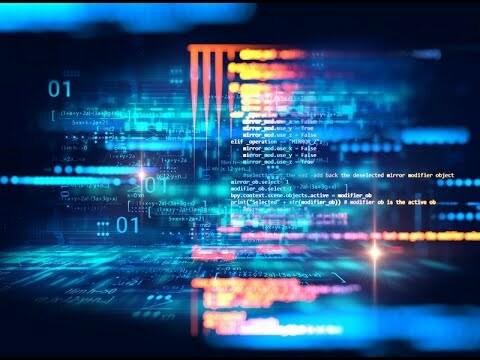 (1) Anybody can download the code and begin managing a public node on their own local device, validating transactions within the network, thus taking part in the consensus process – the procedure for figuring out what blocks get put into the chain and just what the present condition is. (2) Anybody on the planet can send transactions with the network and anticipate seeing them incorporated within the blockchain if they’re valid. (3) Anybody can see transaction around the public block explorer. Transactions are transparent, but anonymous/pseudonumous. Examples: Bitcoin, Ethereum, Monero, Dash, Litecoin, Dodgecoin, etc. Effects: (1) Possibility to disrupt current business models through disintermediation. (2) No infrastructure costs: You don’t need to maintain servers or system admins significantly cuts down on the costs of making and running decentralized applications (dApps). Federated Blockchains operate underneath the leadership of the group. Instead of public Blockchains, it normally won’t allow anyone with internet access to sign up while verifying transactions. Federated Blockchains are faster (greater scalability) and supply more transaction privacy. Consortium blockchains are mainly utilized in the banking sector. The consensus process is controlled with a pre-selected group of nodes for instance, one may think a consortium of 15 banking institutions, because both versions operates a node as well as which 10 must sign every block to ensure that the block to become valid. The authority to browse the blockchain might be public, or limited to the participants. Effects: (1) reduces transaction costs and knowledge redundancies and replaces legacy systems, simplifying document handling and eliminating semi manual compliance mechanisms. (2) for the reason that sense it may be viewed as equal to SAP within the 1990’s: reduces costs, although not disruptive! Note: Some would reason that this type of system can’t be understood to be a blockchain. Also, Blockchain continues to be in it’s initial phases. It’s unclear the way the technology will pan out and will also be adopted. Many reason that private or federated Blockchains might suffer the fate of Intranets within the 1990’s, when private companies built their very own private LANs or WANs rather of utilizing the general public Internet and all sorts of services, but has pretty much become obsolete particularly with the arrival of SAAS within the Web2. Write permissions are stored centralized to 1 organization. Read permissions might be public or limited to a random extent. Example applications include database management, auditing, etc. that are internal one company, and thus public readability may oftentimes ‘t be necessary whatsoever. In some cases public audit ability is preferred. Private blockchains are a good way of benefiting from blockchain technology by establishing groups and participants who are able to verify transactions internally. This puts you at the chance of security breaches much like inside a centralized system, instead of public blockchain guaranteed by game theoretic incentive mechanisms. However, private blockchains get their use situation, especially with regards to scalability and condition compliance of information privacy rules along with other regulatory issues. They’ve certain security advantages, along with other security disadvantages (as mentioned before). What's the difference between public and private blockchain? Establishing an atmosphere to check and research blockchain requires an ecosystem with multiple systems so that you can develop research and test. The large players within the cloud industry like Amazon (AWS), Microsoft (Azure), IBM (BlueMix) have experienced the possibility advantages of offering blockchain services within the cloud and began supplying some degree of BaaS for their customers. Users may benefit from not getting to manage the issue of configuring and establishing a working blockchain. Hardware investments will not be needed too. Microsoft has partnered with ConsenSys to provide Ethereum Blockchain like a Service (EBaaS) on Microsoft Azure. IBM(BueMix) has partnered with Hyperledger to provide BaaS to the customers. Amazon . com announced they’d offer the service together with digital Currency Group. Developers have a single-click cloud-based blockchain developer atmosphere, that will permit for rapid growth and development of smart contracts. Examples: Accenture, ConsenSys, Aware, Deloitte, IBM, PricewaterhouseCoopers (PWC), Ernst & Youthful. Within this situation, you’re employed directly using the given blockchain tools and stack. Set up is needed, which means this isn’t for that average person at this time, as most of the technology is still developing and evolving. However, working directly using the blockchain supplies a good amount of innovation, for instance in building decentralized applications. This is when entrepreneurs are coming up with ambitious finish-to-finish, peer-to-peer applications, for example OpenBazaar (on Bitcoin), or Ujo Music (on Ethereum). Here, you do not begin with a desire for any blockchain. Rather, starting with an improvement approach orientation, and also you build an application that backs right into a blockchain infrastructure that may be offered within the cloud. The aim here’s rapid development, and you concentrate on the blockchain programmability. This segment is how we view probably the most rapid metamorphosis previously year, mostly in financial services. These solutions are industry-specific, and they’re according to private blockchain or ledger infrastructures. A caveat here’s that a few of these aren’t full blockchains. Rather, they’re distributed ledgers, that are a subset of blockchain abilities. And a few have no idea incorporate a consensus element, that takes the implementation another level lower from distributed ledger tech. Examples: Axoni, Chain, Clearmatics, Digital Asset Holdings, itBit, R3. This method uses the blockchain being an asset, possession or identity-binding infrastructure, and also you build applications having a specific concentrate on chains of proof, possession legal rights, title registries or any other specific services having a built-in trust-based component. Examples: Blockstack, Factom, Open Assets, Tierion.